Cancer Research UK, is a purported charity based in the United Kingdom that, as the name suggests, is supposed to support research into cancer, but these days is more and more into anti-smoking activities. Disclaimer. 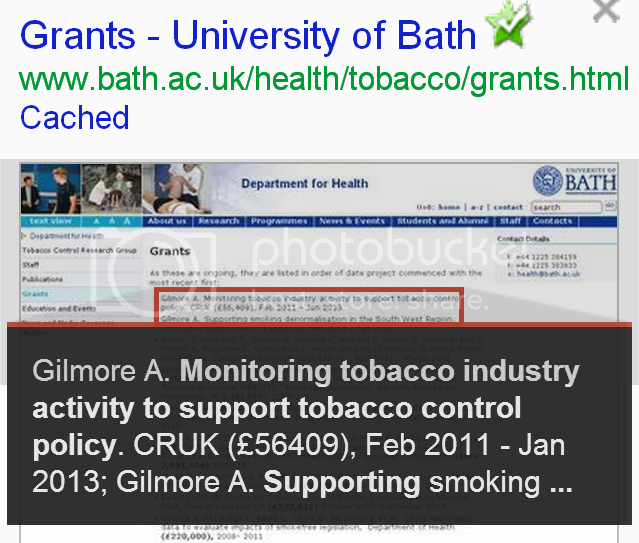 Some of the research for TobaccoTactics was funded by Cancer Research UK Limited and Smokefree South West. This page was last modified on 13 June 2012, at 08:35.